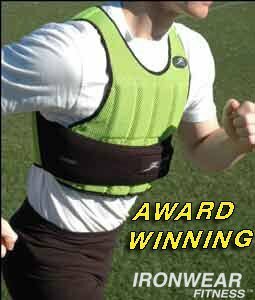 Breathable, weighted vest designed for all types of training. Over-sized strapping system adjusts to fit any size athlete. Each weight pocket holds one removable weight to minimize movement. This thin, short vest holds up to 10 pounds and is only 1/2 inch thick with 1 layer of weights. Includes 20 soft 1/2-pound weights. Patented overlapping belt system with extra wide Velcro fasteners to keep the vest secure. The vest is machine washable with fast-dry polyester mesh. Neon green. Since 1986, Power Systems' passion for fitness has been fueled by our customers. Power Systems is committed to ensuring people have the tools to lead active lives with professional-grade products, cutting-edge educational materials, and elite customer service. “Power Your Potential” is the philosophy that guides everything Power Systems stands for.